Hysterography is also calledhysterosalpingography (HSG), it is a radiographic examination of the uterus and Fallopian tubes. In recent years it has been increasingly replaced by magnetic resonance imaging (MRI). Hysterography is performed by a radiologist in a radiology centre. The examination is used to investigate the uterine cavity and Fallopian tubes, particularly if a person has difficulty getting pregnant or because of bleeding for which no cause has been found using ultrasound. The indications for the investigation are now limited by the widespread use of ultrasound and other imaging techniques (MRI etc.). The patient lies down on her back with her knees flexed and spread apart. 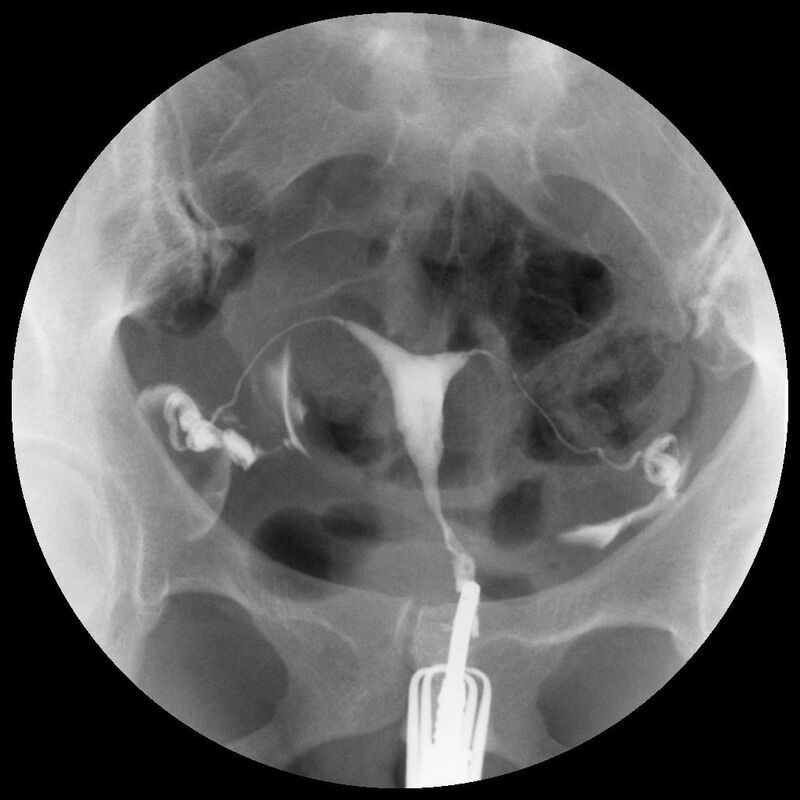 The doctor places a probe in the cervix and injects an iodinated contrast medium. The investigation lasts approximately 30 minutes and does not require any anaesthesia. It provides direct information about the uterine cavity and fallopian tubes, and on the condition of the mucosa and submucosa. Hysterography must not be performed during pregnancy. It is generally performed immediately after the menstrual period. Known iodine allergy must be reported to the doctor before the investigation. Dictionnaire de l'imagerie médicale et des rayonnements, from the Academy of Medicine by Profs. Jean-Charles Sournia and Jacques Polonovski, PUF.